R.G.A. Boer War Group of 3, 14th Coy. Southern Division. 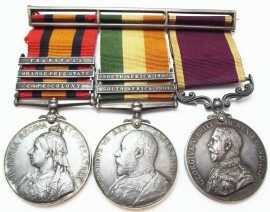 Very nice Boer War group with silver hanger to W. Gasson. 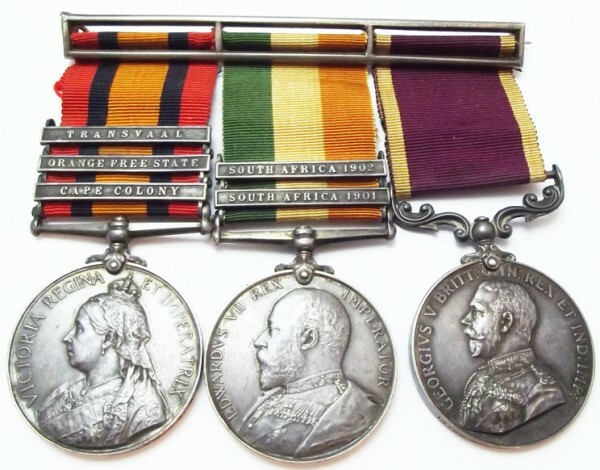 Queen's South Africa Medal officially named to: 13729 BOMB. W. GASSON 14TH S.D. R.G.A. 3 Bars, Cape Colony, Orange Free State and Transvaal. 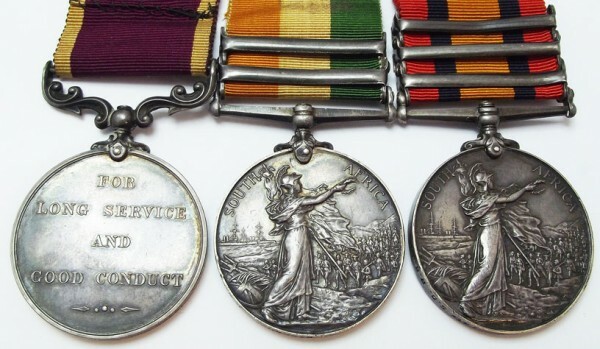 King's South Africa Medal officially named to: 13729 CPL. W. GASSON R.G.A. 2 Bars, South Africa 1901 and 1902. Long Service Good Conduct Medal officially named to: 13729 SJT. W. GASSON R.G.A. Slight contact marks, otherwise very fine.